類型：視像語言：英文分類：Arts & Culture狀態：已完結 節目簡介： The programme is aired from 23 August to 04 October 2012, every Thursday evening on TVB Pearl at 18:55. The exhibition of the animated version of the Riverside Scene at Qingming Festival in Hong Kong last November caused a sensation, whereas the inter-discipline educational exhibition at the same venue allowed the public to appreciate the painting from various perspectives. 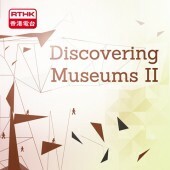 Given Hongkongers’ love of the painting, the museum joined forces with ZHAO Guangqiao’s workshop to produce a teaching aid package of “Riverside Scene at Qingminig Festival”, aiming at helping the public to understand the history and lifestyle of Song Dynasty through a contemporary angle and a lively, interesting approach of presentation. The Hong Kong Museum of Art has, in its collection, a rich trove of classical calligraphy and painting works that are equally precious; in the exhibition “A Landscape Journey: Chinese Landscape Painting”, the public may get to see the treasured Xubaijai collection. For example, the WEN Zhengming masterpiece “Cooling Off the Hot Summer” in the collection is analysed by the museum with an inter-discipline and multi-angle approach to illustrate the essence of Ming Dynasty’s literati-painters, as well as the lifestyle, history and culture of that era. It is exactly the museum’s objective to analyse a painting from various angles and let visitors understand a specific dynasty through a single painting.